Have You Seen This Great Quality Improvement Tool? Posted on May 17, 2015 Author David	No Comments on Have You Seen This Great Quality Improvement Tool? To all our healthcare colleagues out there: don’t you feel like, sometimes, you’re running in mud? That friction can make providing high-quality care difficult. Recently, our colleagues at Trauma-News.com explored a powerful design philosophy that we, as quality professionals and healthcare providers, can use to help eliminate that feeling of slogging through quicksand while we provide care. 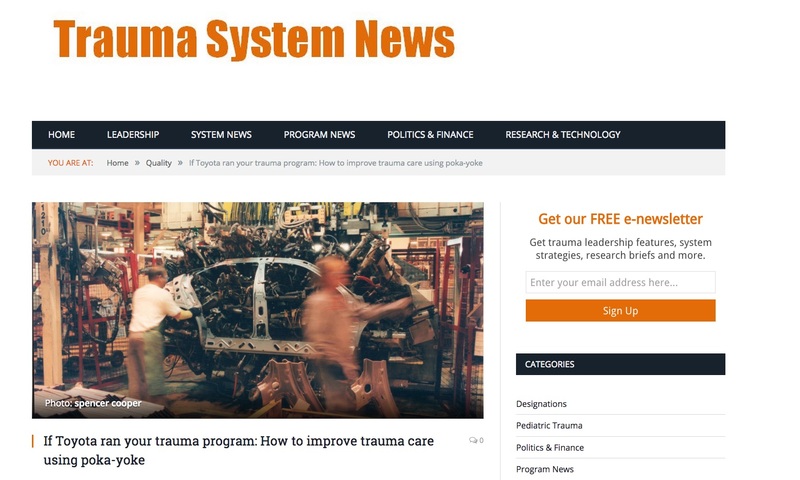 Visit the entry at trauma-news.com (here) for more about this powerful tool that helps decrease defects and friction in providing great care. Previous Previous: Are You Mislead By Your Control Chart Data? Next Next: Have You Ever Used Stealth Sigma?